Today we are going to take a little tour through T.O. & fro and answer those questions you've been dying to know - the hows, whys and whats behind the blog. A big thanks to Christine at the So-Called Homemaker for the invite. 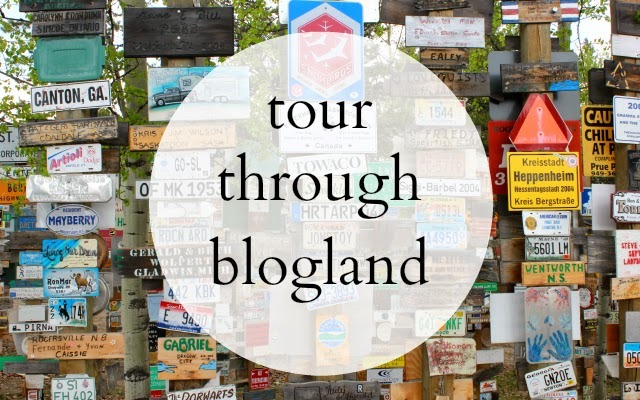 With some many blogs in blogland, it is often hard to set yourself apart from other bloggers. If I had to give T.O. & fro a genre, it would be "lifestyle", a little bit of everything in one place. But what sets me apart? The majority of the blogs that I read are US-based, and with my home base in Toronto, I am able to share different things, like traditions and things to do and see. As a small town raised, big city living girl, I share a fresh perspective on the many differences between the two, and as an environmental educator, I love to share why it is so important to care for our natural world, especially in today's world. Long story short, because I enjoy it. This blog once started as a way to share our adventures with friends and family when my husband and I lived in Alaska. Now that we're back home and see our family regularly, the focus has changed. Now, I just genuinely enjoy writing and having a creative outlet. Just the other day my husband pointed out how far T.O. & fro has come since it began back in 2010, then called "Our Alaskan Staycation". Although I'm sad we still don't call the great state home, I absolutely LOVE what the blog has become. I also enjoy the community and friendships that I have created through blogging. I think one of the coolest things is being able to connect with women across the world that share the same interests. With an hour commute each day to and from work, I have a lot of time to think. I always carry a notebook in my bag, and also take advantage of the notebook app on my phone. I am constantly scribbling notes when a brain child appears, and often draw inspiration from my morning commute, walk through downtown or morning newspaper. Toronto is such a vibrant city, there is no shortage of inspiration. Thanks for taking a quick detour out of your busy day to get a glimpse into the workings of T.O. & fro. Like what you read? I'd love for your to hang around! Use code SMALLTOWN30 for 30% off all Small Town ad space. I also carry a notebook around everywhere. Those ideas come when you least expect it and we have to be prepared. I love that you carry a notebook! I do the same thing! Great job on the post! Awesome answers! I can't wait to make a stop for my turn next week!